"Do you need something? Mac can get it for you. It’s what he does—he and his best friend and business manager, Vince. Their methods might sometimes run afoul of the law—or at least the school code of conduct—but if you have a problem, if no one else can help, and if you can pay him, Mac is on your side. His office is located in the east wing boys' bathroom, fourth stall from the high window. And business is booming. Or at least it was until this particular Monday. It starts with a third grader in need of protection. And before this ordeal is over, it’s going to involve a legendary high school crime boss named Staples, an intramural gambling ring, a graffiti ninja, the nine most dangerous bullies in school, and the first Chicago Cubs World Series game in almost seventy years. And that’s just the beginning. Mac and Vince soon realize that the trouble with solving everyone else’s problems is that there’s no one left to solve yours. Diary of a Wimpy Kid meets The Sopranos in this laugh-a-minute mystery from an exciting new talent." The life of crime is good. Mac has taken down legendary high school crime boss Staples, business has been booming, and Mac and Vince are getting ready for middle school baseball tryouts. But this can’t last. Mac has always tried to keep his friends close and his enemies closer. But what happens when you can’t tell the difference? This dilemma walks into the fourth stall in the form of Trixie Von Parkway—an eighth grader with a mean look and an even meaner predicament. The new science teacher is terrorizing her, and she needs Mac to get him off her back. Seems simple enough, but as Mac starts to dig deeper, he finds even more trouble brewing at his school, including a new administrator bent on destroying his business, and indications that Trixie isn’t who she claims to be. In the past, the worst thing that could have happened to Mac was that he might lose a little money, maybe catch a beating. InThe Fourth Stall Part II, though, there’s going to be much more on the line than that. 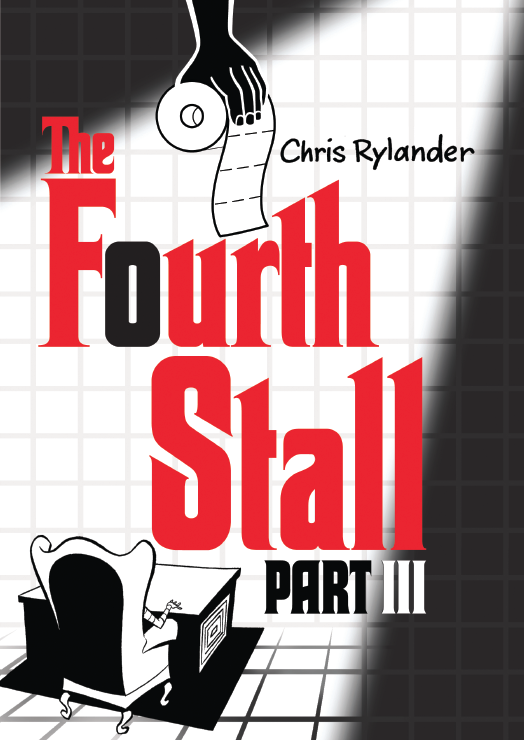 The story of Mac, Vince, and middle-school organized crime comes to its thrilling conclusion in the third book of Chris Rylander’s Fourth Stall saga, a series that combines a Godfather-like tale of crime and betrayal with hilarious school comedy à la Jack Gantos. Their business is finished, and Mac’s and Vince’s lives have become something they have never been before—simple. None of the fortune or the glory, none of the risk or the threat of juvenile prison. There’s even a new business that has stepped in to take its place (and take the heat off Mac and Vince for once). Things couldn’t be better. But that was before things at their middle school started to go haywire. Before they found out that there’s a new crime boss at a school another town over trying to consolidate power. And before their old nemesis, Staples, came back to town begging for help after his stint in the clink. Just when Mac and Vince thought they were out, the business pulls them back in. But this time, will they be able to escape with their lives and their permanent records intact? 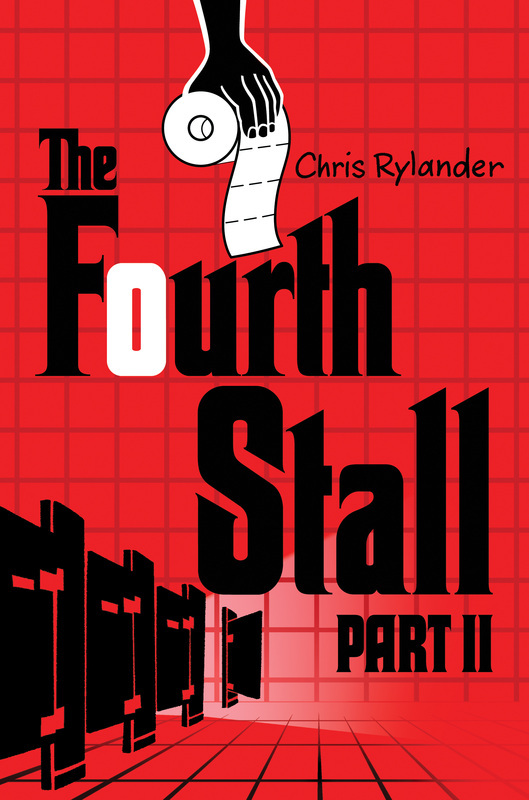 From Chris Rylander, author of The Fourth Stall, comes an incredibly funny and clever mash-up of middle-grade school story and spy adventure, in the vein of H.I.V.E. and NERDS. Carson Fender, seventh grader and notorious prankster, knows this. He’s lived in North Dakota for his entire life, going to the same boring school every day, the same boring movie theater every week, the same boring state fair every year. Nothing ever changes, and nothing ever happens. That is, until today. Because today a desperate man hands him a package with a dire set of instructions. And that package is going to lead Carson to discover that there’s a secret government agency operating in his small, quiet North Dakota hometown. And that this agency needs his help. 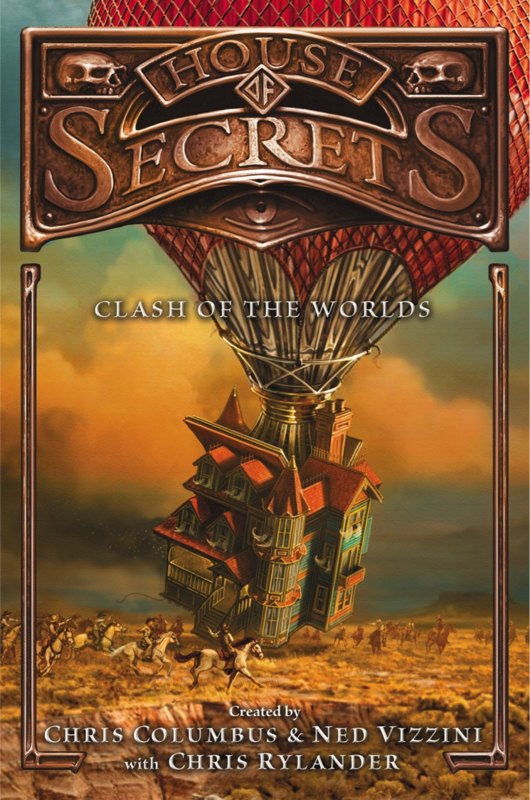 The final book in the New York Times bestselling House of Secrets series that was called “a breakneck, jam-packed roller coaster of an adventure” by J. K. Rowling. 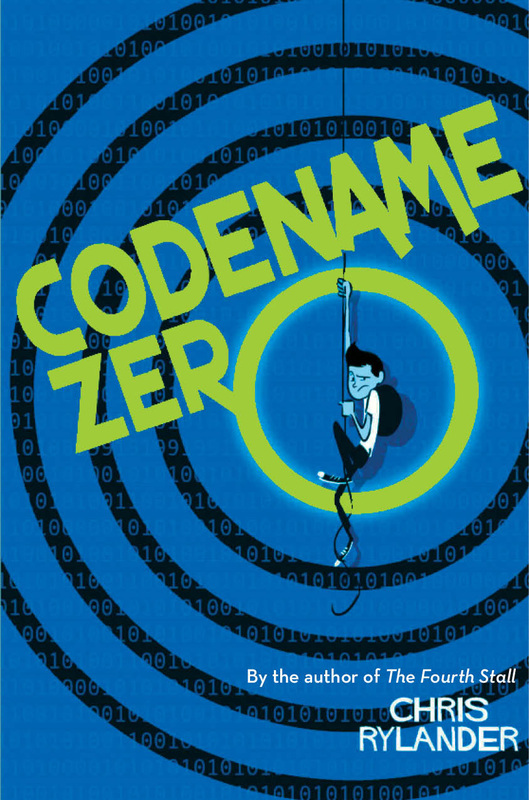 Created by Hollywood director Chris Columbus (of Harry Potter fame) and bestselling author Ned Vizzini (It’s Kind of a Funny Story), with the acclaimed author of the Codename Zero series and the Fourth Stall saga, Chris Rylander. With their last adventure just barely over, the Walker kids thought life would finally go back to normal. But things don’t remain calm for long . . . especially when the colossus Fat Jagger turns up in San Francisco Bay—and he’s in danger! With the police closing in, the Walkers must figure out how to save their giant friend. 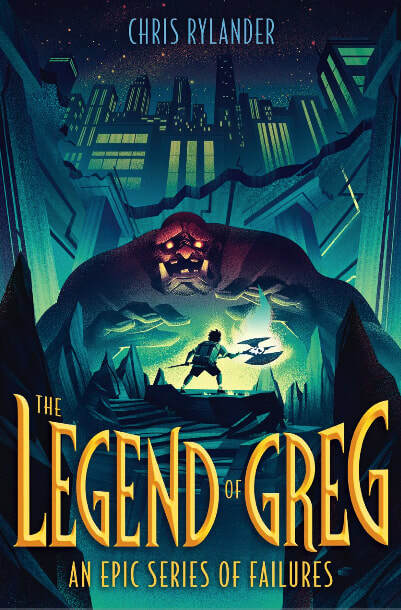 When a frost beast is spotted in Santa Rosa—and more mystical creatures start appearing all over America—it’s soon clear that the characters from Denver Kristoff’s works are invading the real world. 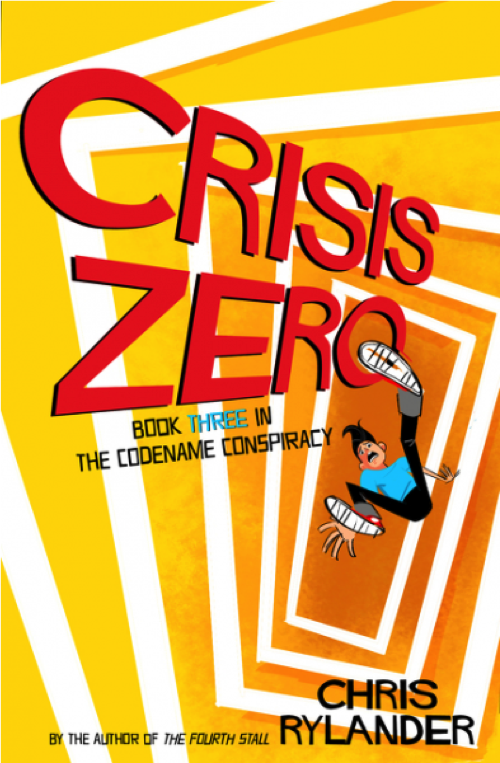 It’s up to Brendan, Eleanor, and Cordelia to reenter the book world one last time to keep the worlds from colliding, causing mass destruction. They will have to track down three Worldkeepers hidden in Kristoff’s books—magical items that when used together will seal the worlds off for good. But the Walkers’ first move leads them straight into the Wild West, with lethal outlaws and lawless deputies—and that’s just the beginning. They’ll encounter dinosaurs, aliens, killer robots, and the Wind Witch herself—with new friends and old—and be faced with some of the deadliest choices they’ll ever have to make. The scariest thing of all could be deciding who to trust, since everyone is hiding something. . .